The Defense Security Cooperation Agency (DSCA) has notified the United States Congress as required of a possible Foreign Military Sale (FMS) to the United Kingdom of 500 AGM-114 Hellfire missiles. Already in service in the UK, the purchase would replenish Hellfire stocks that have been depleted during recent conflicts. If the contract is signed, the value is estimated at about $95 million. Both types of Hellfire II missiles have a length of 163 cm, a diameter of 18 cm, a weight of 100 to 105 lbs, a 20 lbs warhead and a range of 8000 m. Guidance is based on semi-active laser homing. The United Kingdom has recently also replenished its stocks of Brimstone missiles, which are somewhat similar to the Hellfire missiles. That contract was worth about $22 million. The Brimstone was originally developed on the basis of the Hellfire missiles and they share the basic missile body. However, the Brimstone internals have been developed from the ground up. It was intended as a followup and an improved version of the Hellfire missile. The addition of the MMW radar would make the Brimstone far more accurate and a true fire-and-forget missile with much less collateral damage. However, the later versions of the Hellfire have also incorporated the MMW radar. 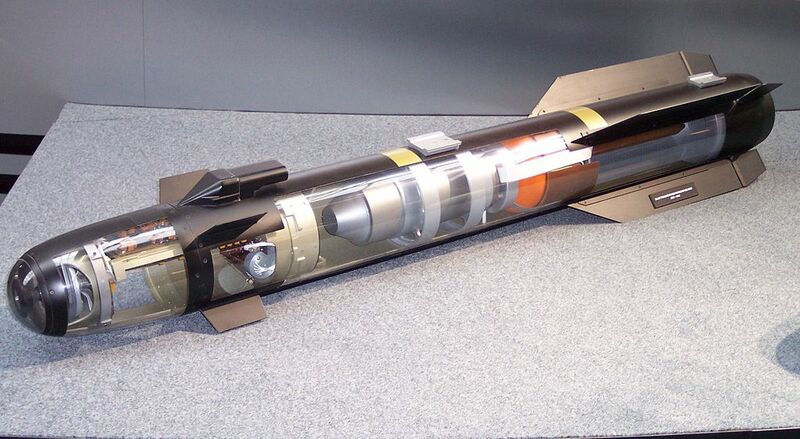 The Hellfire may eventually be replaced by the Joint Air-to-Ground Missile (JAGM) currently in development.